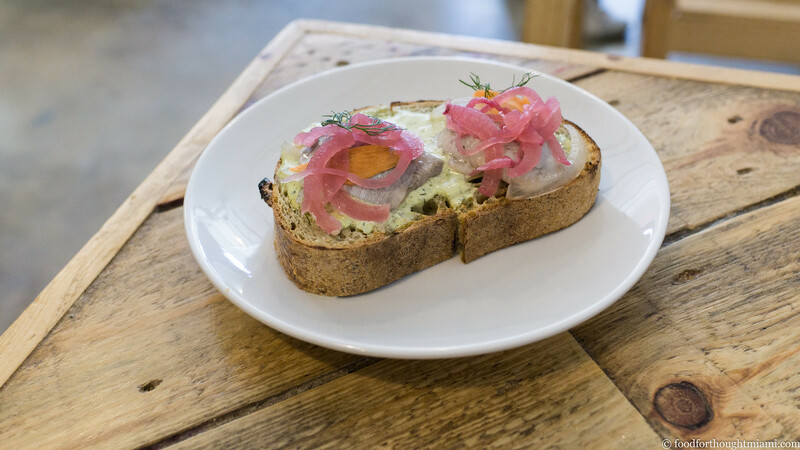 It was the first thing I ate at Zak the Baker when the Wynwood café opened last May: a toasted slab of his fantastically crusty, naturally leavened multigrain bread, topped with slick, fatty brined schmaltz herring and pickled onions. On that first visit, it was paired with a 10 a.m. vodka shot which Zak rightfully insisted was an essential accompaniment. This past Sunday morning, there was mercifully no hard liquor, but there was that same delicious fish, that same delicious bread, those same tart onions, though a pickle-infused aioli substituted for the creamy creme fraiche of that first visit. Still mighty good. And the best thing I ate last week. Pro tip: ZTB gets crazy busy with Sunday brunchers, but still keeps baker's hours, and opens at 7 a.m. If you can rouse yourself early, you may be able to squeeze in before the crowds. 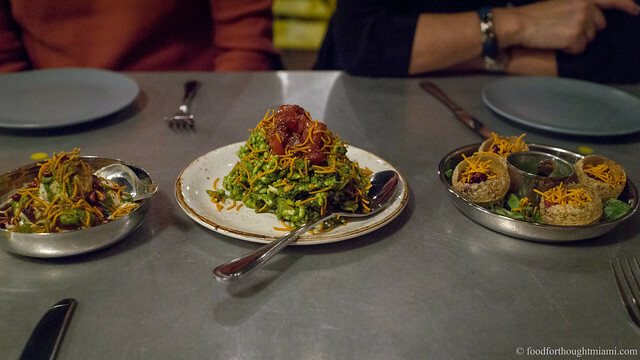 Runner up: a classic from chef Michelle Bernstein's repertoire, on the menu at her Miami Beach restaurant, Seagrape: a delicately fried squash blossom stuffed with shrimp mousseline, served over a bed of creamy corn grits and dappled with a rich seafood nage.